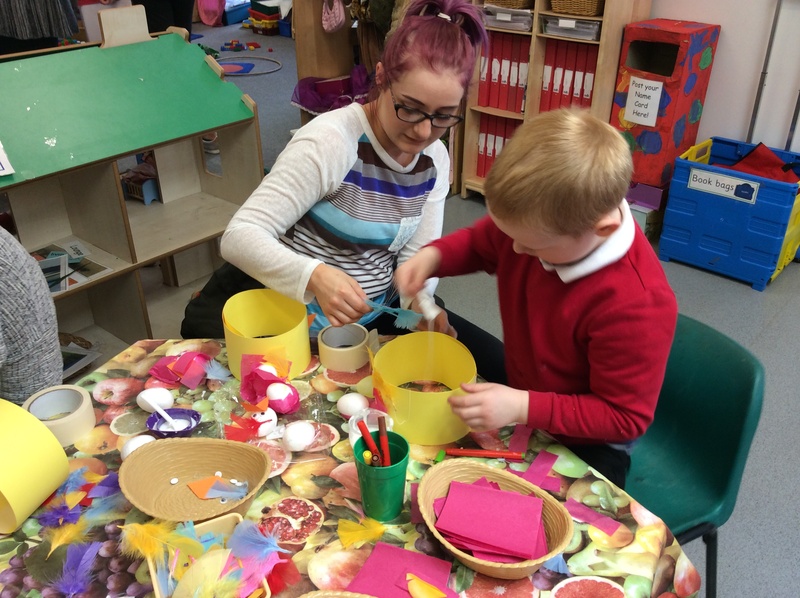 We have had a very busy, but productive, first half term in Foundation and the children have settled well into their new routines. The half-term holiday will begin on Friday 21st October and we return to school on Monday 31st October. 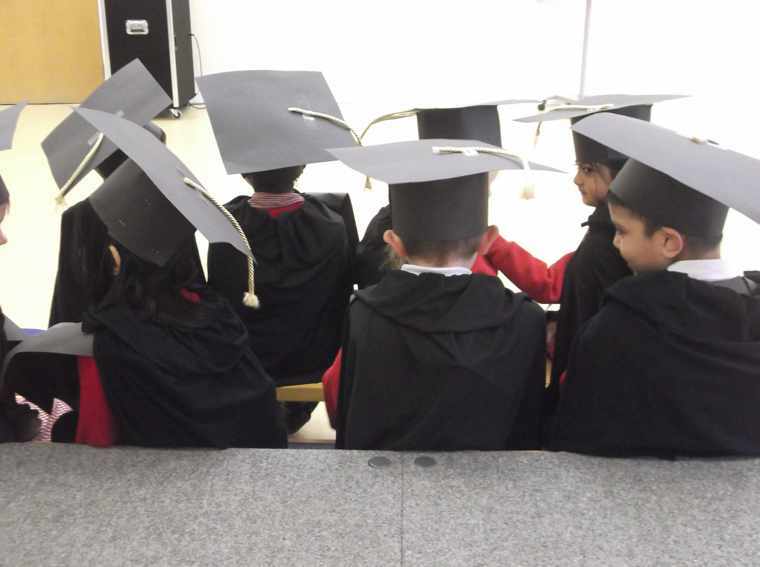 On Monday 31st October, we will be having a dressing up day in Foundation. 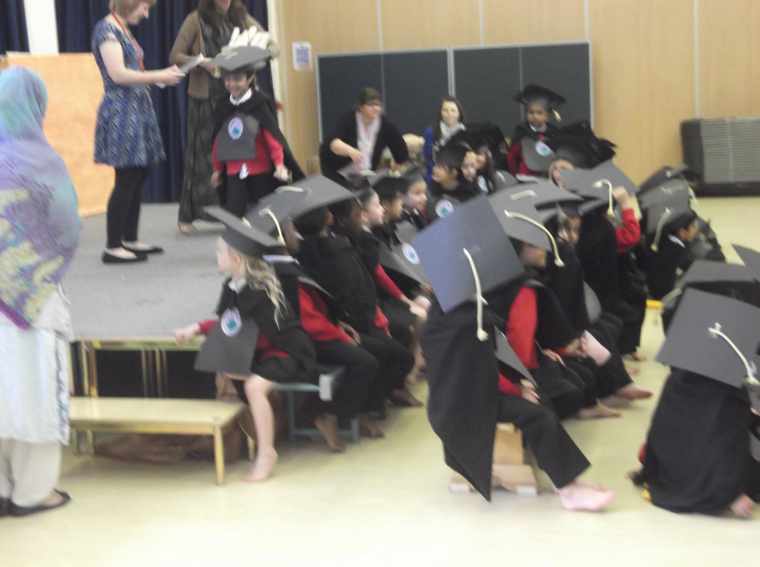 The children can come to school wearing a costume and will take part in fun activities during the day. 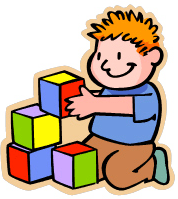 On Thursday 3rd November, we would like to invite you to join us for a ‘Stay and Play’ session, at 2.00-2.45pm. 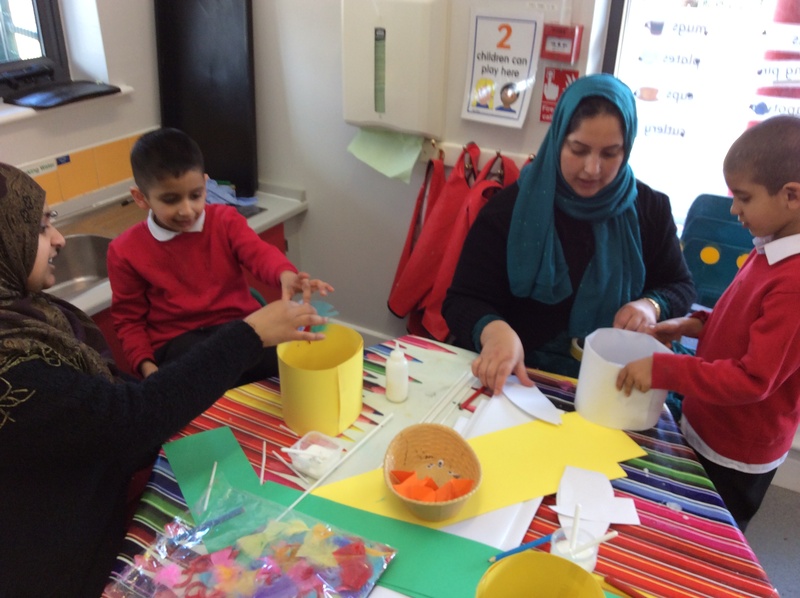 You will be able to participate in Bonfire Night themed activities with your child, as well as exploring the areas of learning within the classroom. 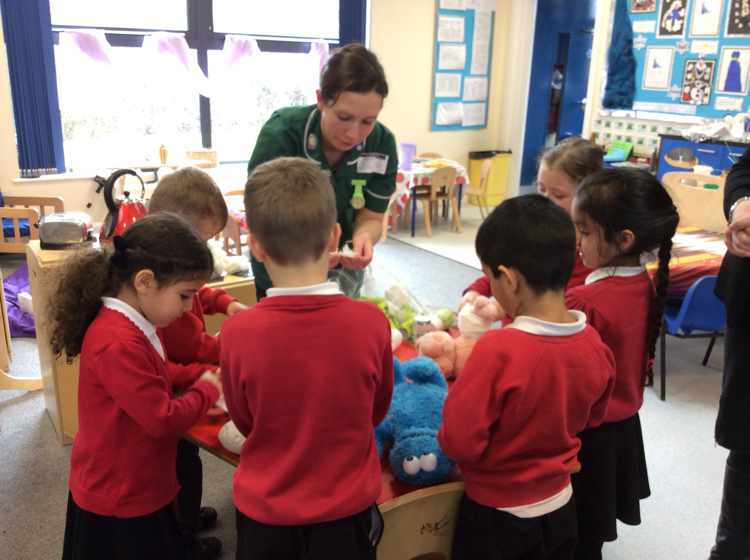 Due to the large number of children in the Units, we are sorry but pre-school children will be unable to come to the session. Please sign in for Stay and Play at the Foundation gate. We hope that you will be able to join us. 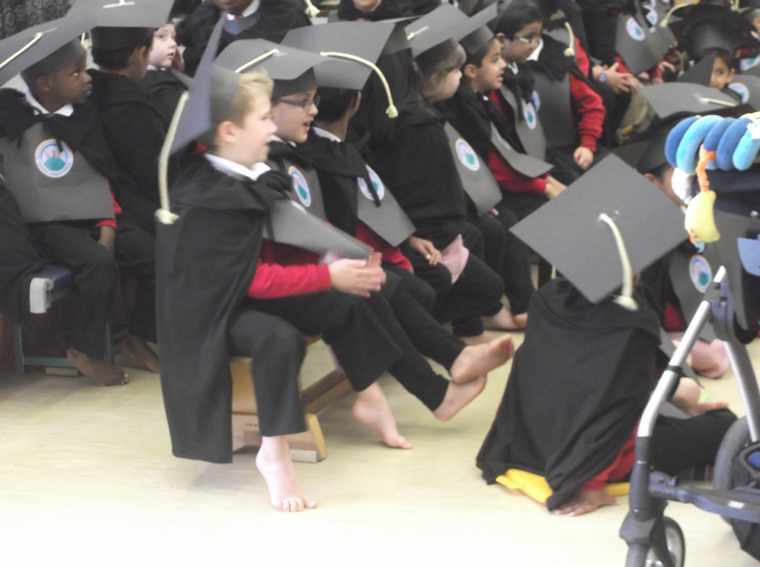 Have a lovely half-term holiday and we look forward to working together again next term. 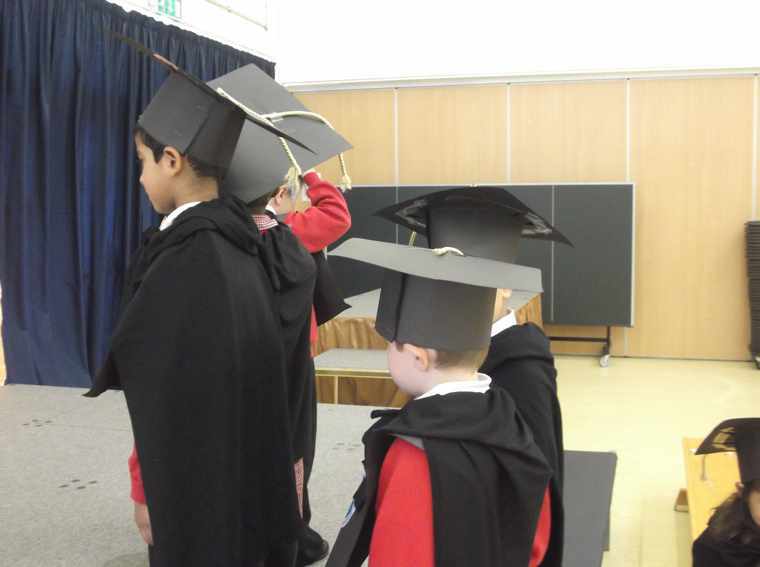 On Thursday 30th June, the children in F2 celebrated a fantastic year in Foundation, with their Graduation ceremony. 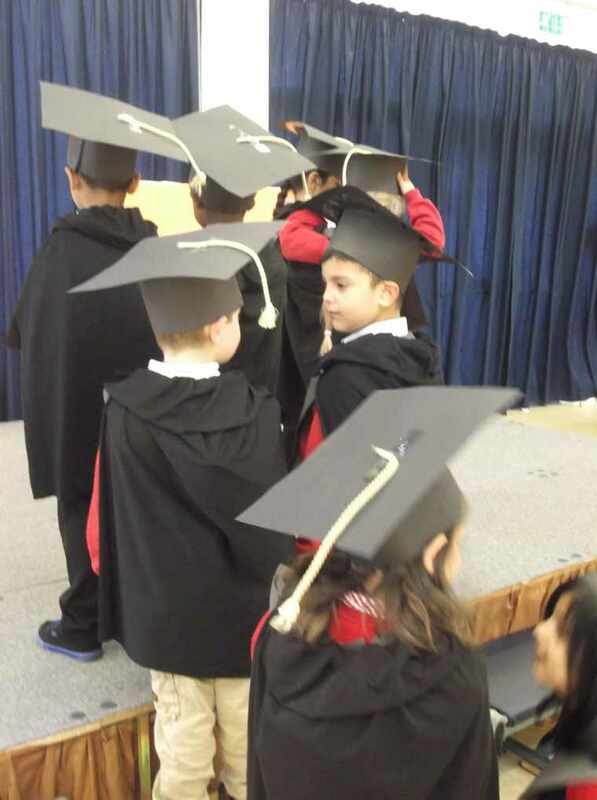 They all wore caps and gowns and received a scroll from their teachers for working hard. 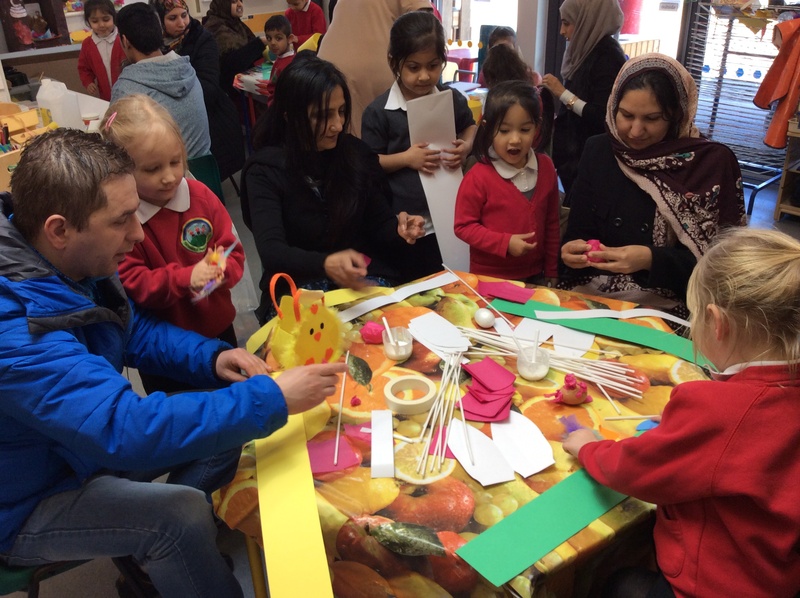 Lots of parents attended to support their children. They were greeted with the “Good morning song” before enjoying the retelling of “We’re Going on a Bear Hunt”. 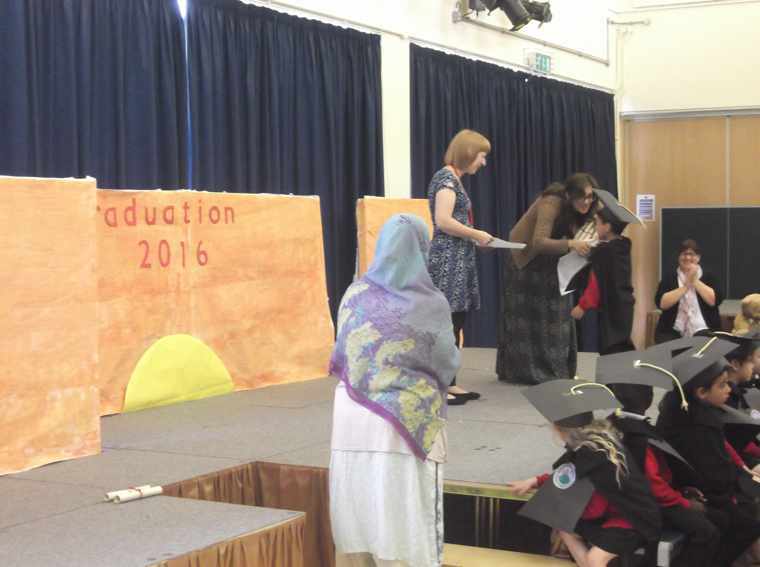 Everyone said goodbye to Mrs Yasseen and wished her well as she goes on Maternity leave. 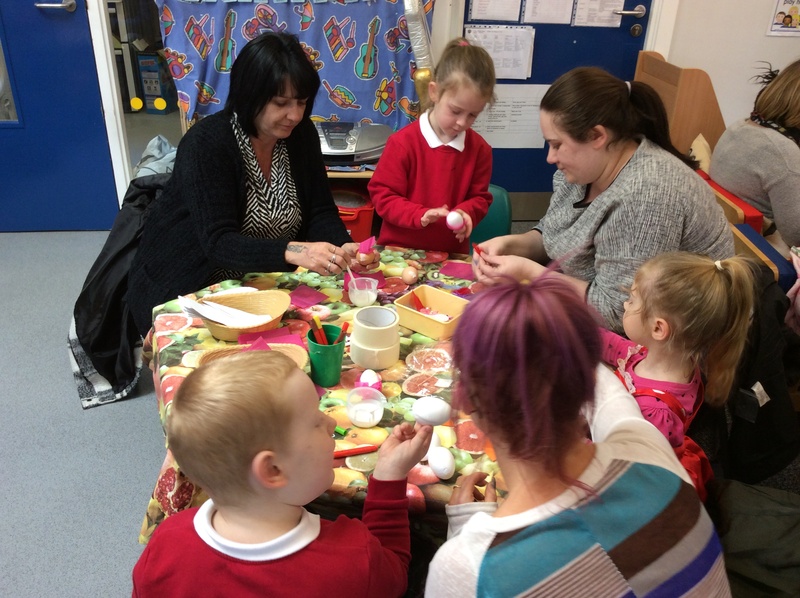 Foundation children have enjoyed getting their fingers dirty with their Parents/ Carers. 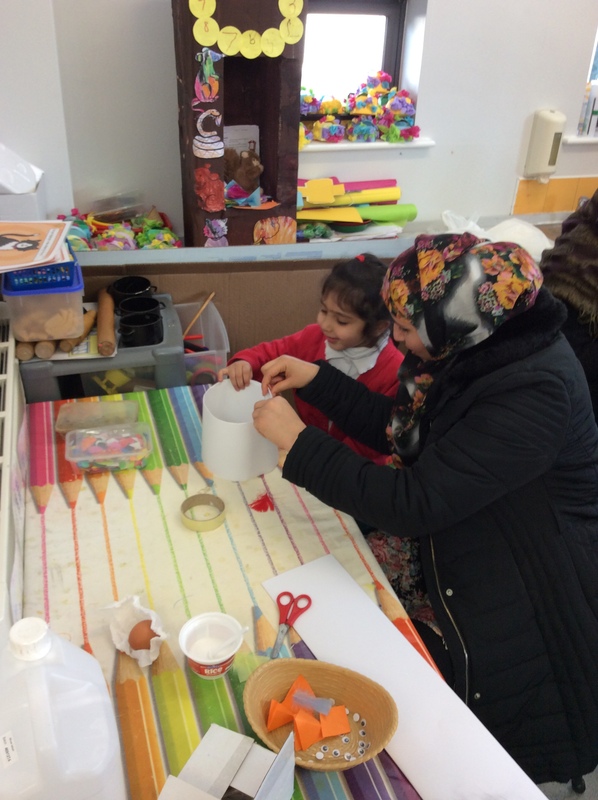 They worked together to create fun Easter bonnet hats and decorating eggs. 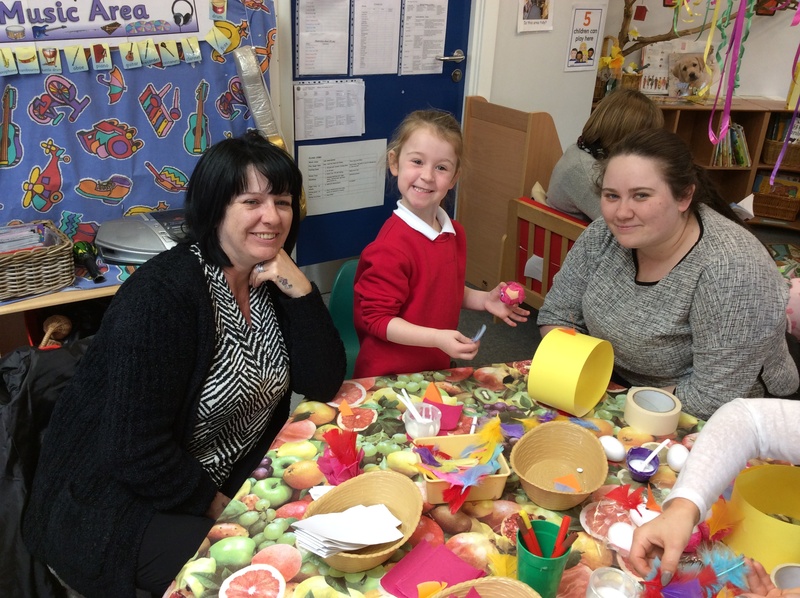 There was lots of glue and different media to stick on their fun creations. 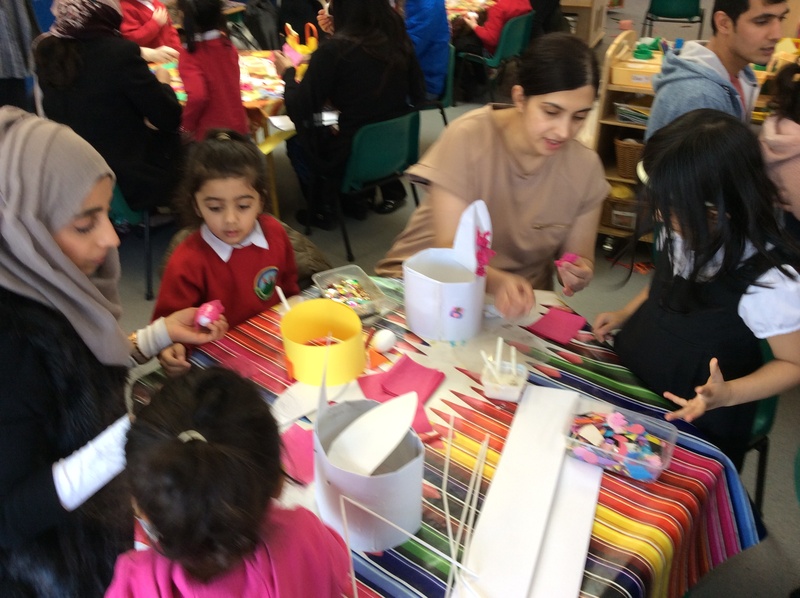 All the children won yummy chocolate eggs to take home. 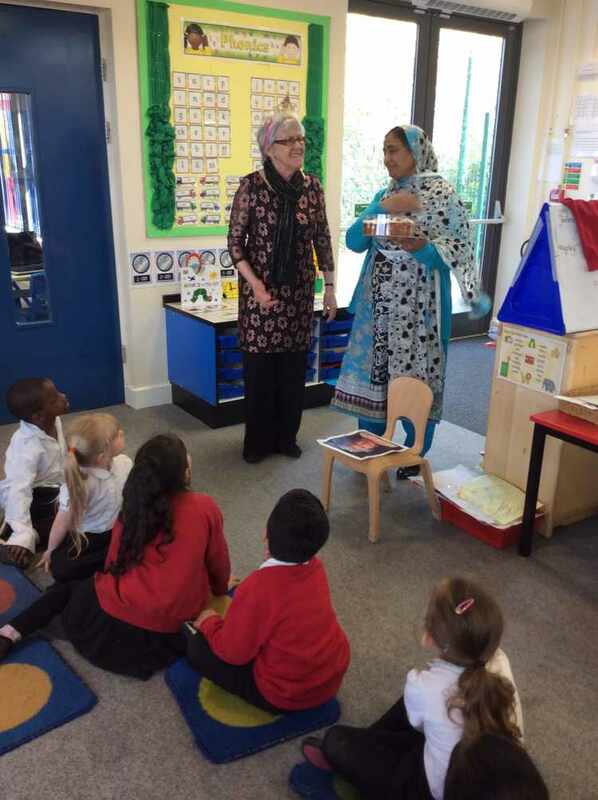 The children in Foundation enjoyed learning about the Queen’s 90th Birthday and we had a special visitor, who represented the Queen. 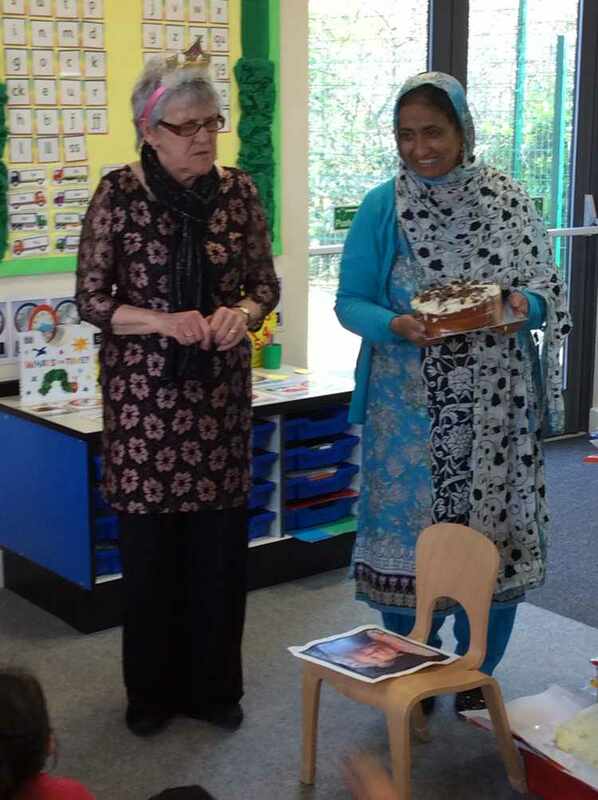 We sang Happy Birthday and shared a birthday cake to celebrate. 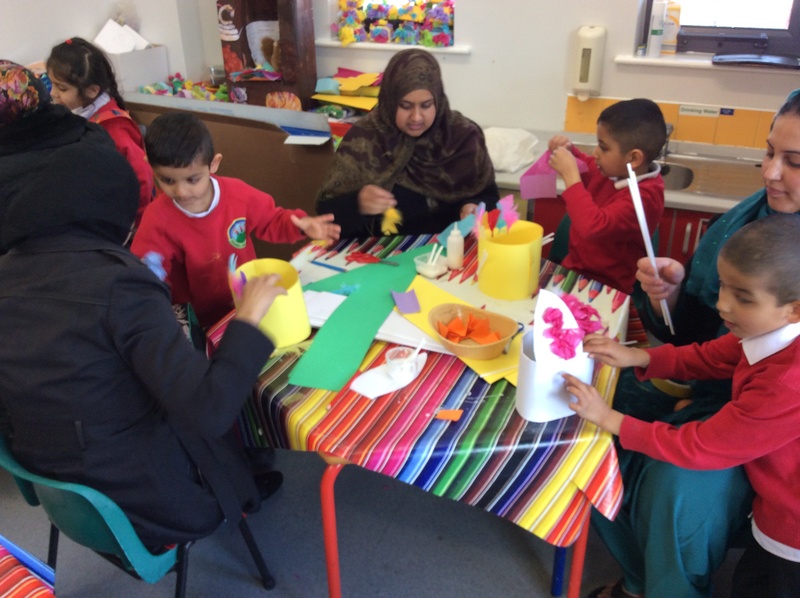 The children made crowns using shapes in repeating patterns and talked about what special things the Queen would be doing to mark this occasion. 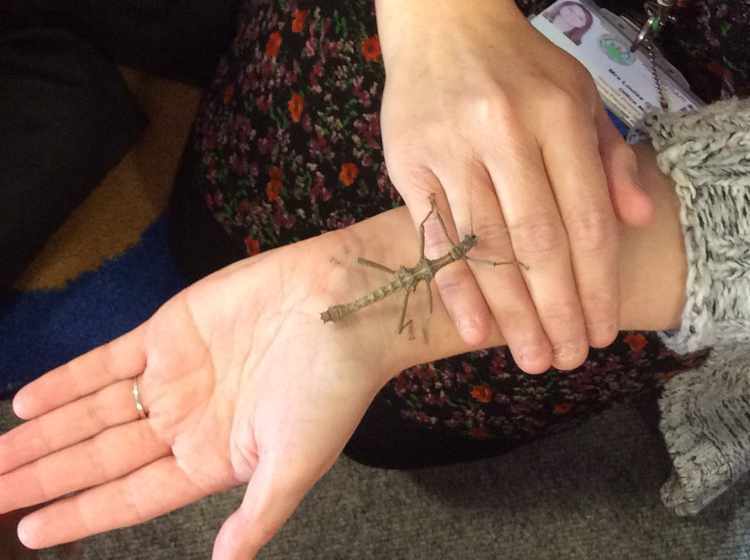 Louise brought a stick insect into the Foundation Units today. 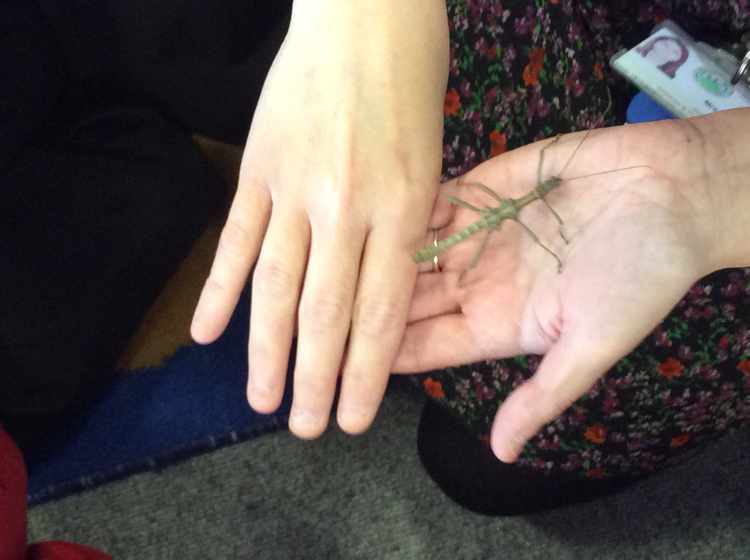 She showed the children what it ate and how it camouflaged itself on sticks and plants. 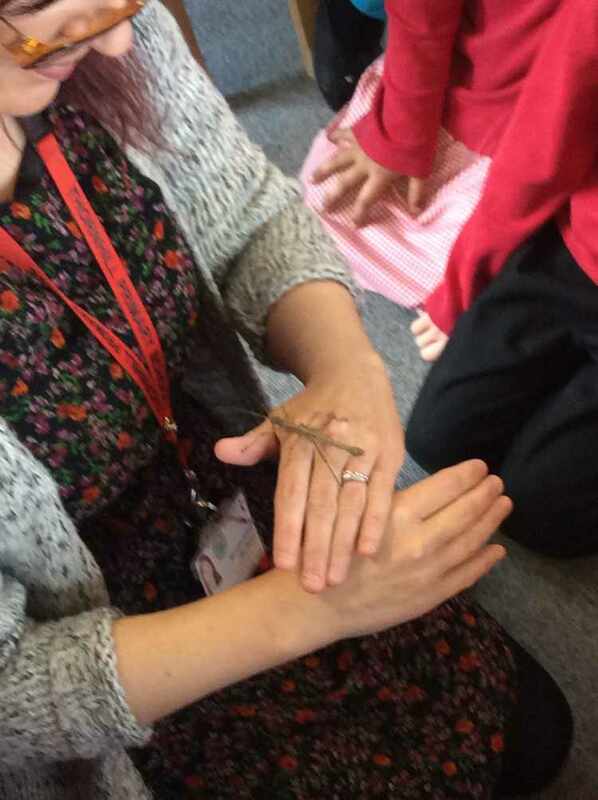 When she took it out of its tank, the children enjoyed watching it crawl along her hands and hold on when it was upside down using its sticky feet pads. 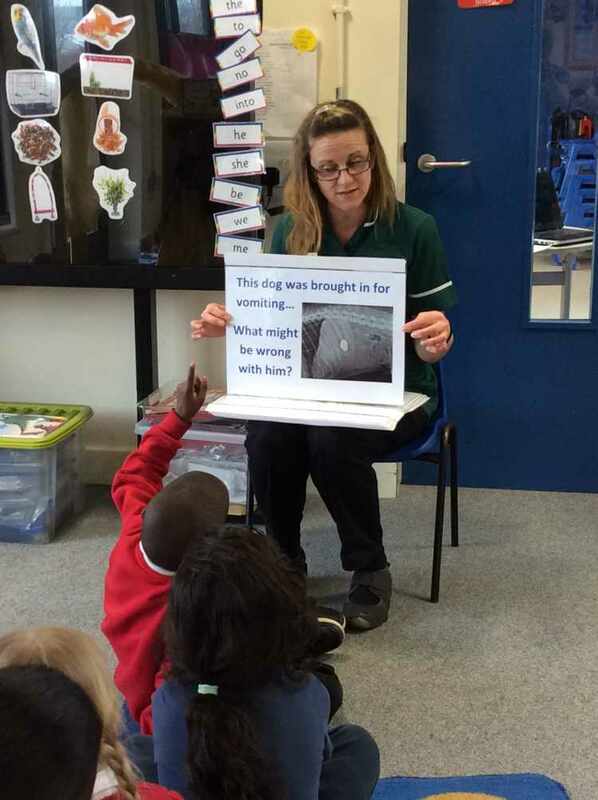 They asked lots of questions and were very interested in learning more about it. Today, three vets came to visit Foundation. 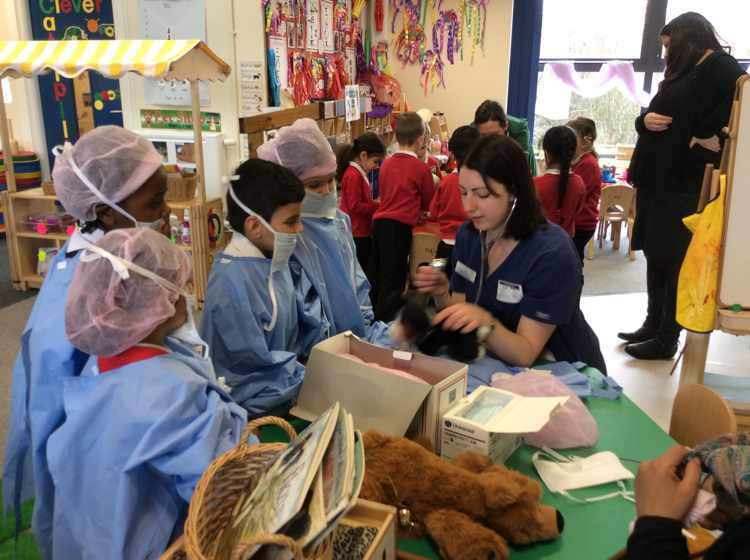 They talked about how to look after pets and what vets do when pets come into the surgery. 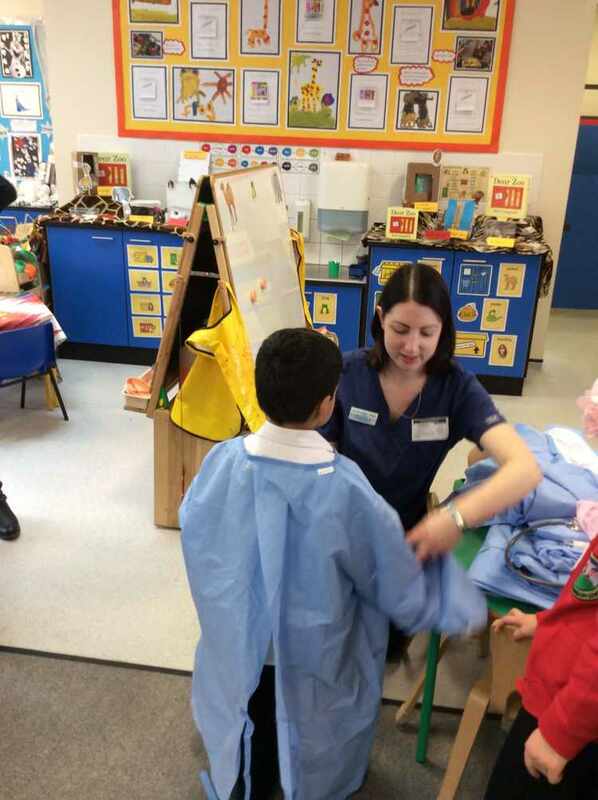 The children practiced bandaging, dressed up ready for an operation and looked at real x-rays of different animals.